When it comes to patient kiosks there are many sizes, shapes and prices. 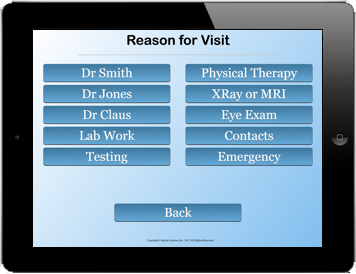 One thing for sure, it's easy to spend too much money and too much time implementing a patient kiosk. 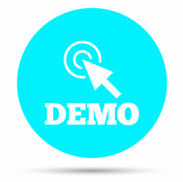 That's why we designed the easiest, most cost effective solution for patient check in. 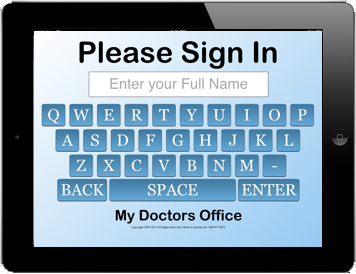 Using low cost tablets such as the Apple iPad or a pc tablet, Medical Check In moves patients through quick. 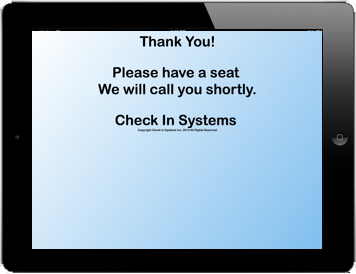 Medical Check In automatically sorts and organizes patients into a check list style display. Separate your patients with up to 12 reasons and 12 sub-reasons. The patient list becomes a checklist for staff. Change is tough on patients and staff. 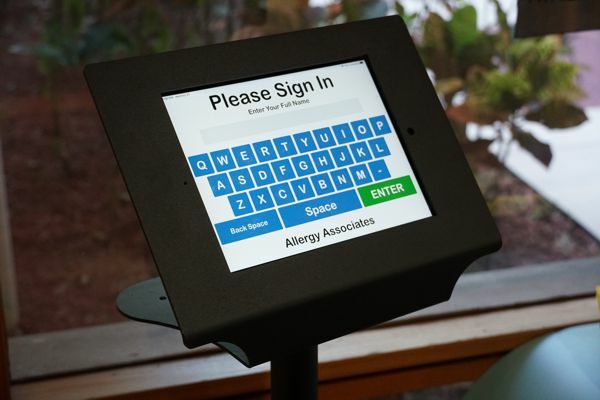 Our patient kiosk replaces the sign in sheet in 3 simple screens. Ask for the patient name and the reason for visit. Literally, Medical Check In is a 10 second sign in process. The information is passed to staff computers in an organized list. Check them in and out as they pass through your office.